he Beyond The Sock Workshop gathers attendees from across the world with a chance to learn the art and craft of designing, building and performing with hand-and-rod puppets using the very same techniques used in well known and beloved television and film productions. 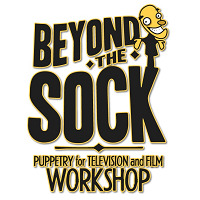 The Beyond The Sock workshop is like no other puppetry workshop you may have attended before. Attendees receive hands on instruction in everything from initial design and detailing to puppetry basics and acting with puppets. All of this is provided along with a fully staffed design lab, mirrored practice room, build shop and professional multi-camera production studio. Please visit our website for additional details.